Josie Hoskins, who graduated from Paseo High School this month, attributes much of his success to guidance from mentors in the Youth Ambassadors program. Youth Ambassadors co-founder Paige O'Connor says that the program is intended to be a first job experience for participants, also teaching skills like crisis resolution. Josie Hoskins said he thought of his own life story as "super normal" — until he saw other people's reaction to it. "I was around six years old when my mom took me aside and ... explained, one, how to spot an overdose and, two, what to do if I saw her with an overdose." He learned other difficult lessons, too. "I used to be terrified of letting my thoughts be heard," Hoskins said. "As a black person in America, you grow up knowing that Martin (Luther King Jr.) was murdered for speaking, Malcolm (X) was murdered for thinking, that these ideas are a death sentence." 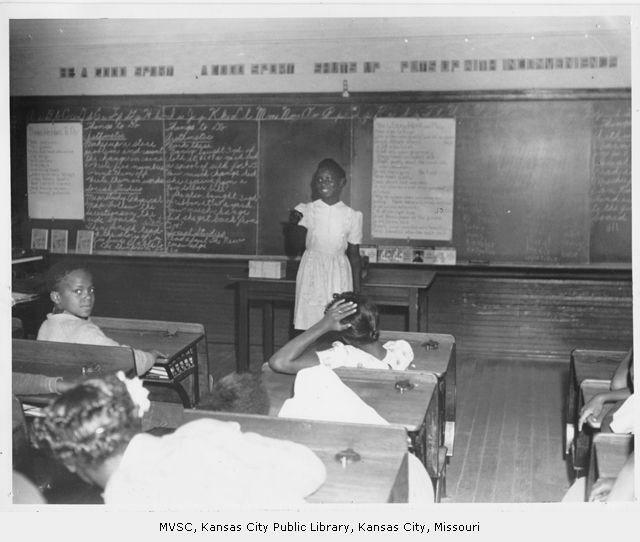 However, as Hoskins told guest host Elle Moxley on KCUR's Up To Date, his harrowing experience as a child ultimately led to his participation in a series of videos called "Lessons From My Neighborhood." Hoskins helped shape the video "How to Tell if Mom's Overdosing," which has been viewed more than 17,000 times on YouTube. The video series, which aims to increase awareness of the issues facing many young people in Kansas City, is part of a partnership between the marketing agency VML and an organization called Kansas City Youth Ambassadors. Hoskins is one of roughly 350 students who were involved in the program this past school year. "Once teenagers come and join us," said Youth Ambassadors co-founder Paige O'Connor, "they realize they're not alone in their circumstances. There's a lot of sharing that goes on. There's a sense of family that happens." The program, started in 2010 by O'Connor and Tiffany Poor-Lynch, is a non-profit collaboration dedicated to uplifting disadvantaged youth through paid, educational positions. The only requirement to earn Missouri's minimum wage is to regularly attend classes and participate. But the program aims to do more than send participants home with paychecks and resumes that might look a little stronger on college applications. "I don't like the word empowerment because they have their own personal power," O'Connor said of the ambassadors. "We just give them the tools to recognize that power and use it going forward to be active members in our community." Hoskins, who studied creative writing at Paseo High School, said becoming a Youth Ambassador broadened his perspective by giving him a chance to expand his education. "I've always been a voracious learner," he said. As an ambassador, he has taken classes on subjects including health, financial literacy and crisis resolution. The educational opportunities were attractive, but he admitted he was drawn to the opportunity by the financial incentive. "It was the paycheck, because I think that's the foot in the door for a lot of kids," he said. "They'll use that money to help pay the bills, get school materials that they need, any real reason that any kid in the urban core would need money." In particular, he said being an ambassador has helped him find his artistic voice. "I want to make people uncomfortable because I want to make people hungry for growth," he said. He credits much of this growth to his teachers. "In so many ways, each of these teachers has taught me things that people in other communities take for granted: the right to be happy, the right to seek artistic fulfillment, and the right to be black in America." 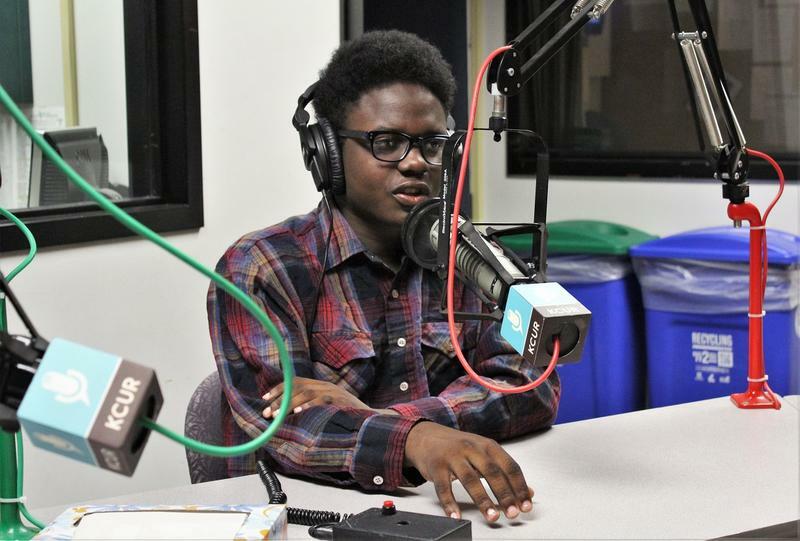 This fall, Hoskins will continue his education at the University of Missouri-Kansas City, and he said he looks forward to sharing his point of view with his classmates. "I'm queer. I'm out. I'm black. I came from the urban core and I'm done being scared. I'm not done being wary. I'm not done being aware, but I am done feeling fear." To learn more about becoming involved with the Youth Ambassadors, visit YouthAmbassadorsKC.org. 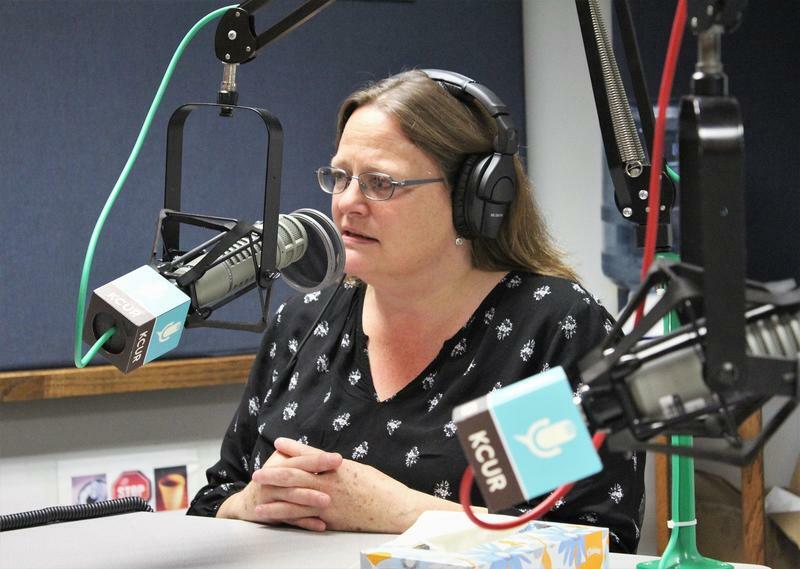 Claire Verbeck is an intern for KCUR's Up To Date. Find her on Twitter at @TheVeebs. 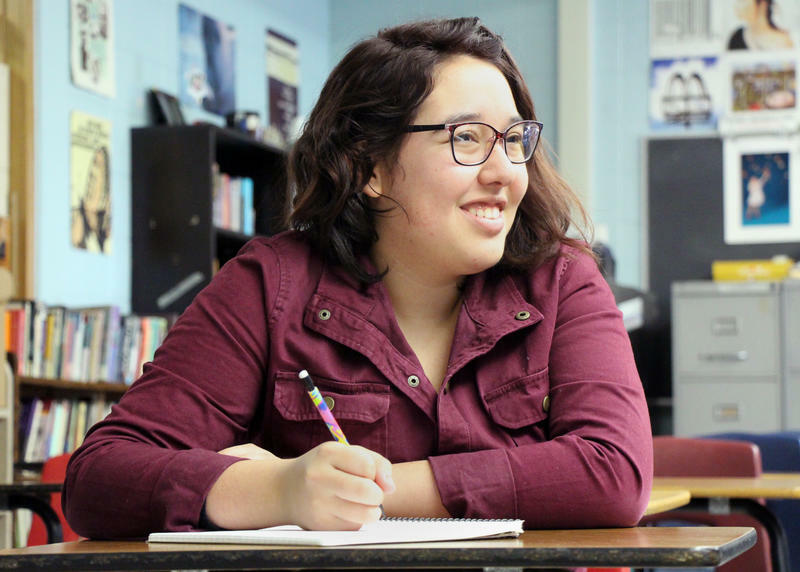 When 18-year-old Columba Herrera walks across the graduation stage this May, she’ll leave Topeka Public Schools with two things — a high school diploma and the beginnings of her college transcript. Herrera will have a semester’s worth of college credit — courses offered at Topeka West High School in conjunction with Washburn University. Each freshman-level college class that the aspiring computer science major knocks out of the way while in high school gets her closer to her goal.